It is good to “talk” to you again. I hope that your year is rolling along in the best possible fashion. The weather has certainly been good to us. The LEC is always buzzing with activity. Bill Bennett has just finished a series of six weeks long computer classes. He began the second series on February 16th. Mr. J. Ed Casillas is almost through a complete 8 weeks of training in Tai-Chi. Lauren Dean is on the 4th in a series of classes for “the Savvy Caregiver”. The Friday Night Dances continue to be well attended. Watch your email for news of specially themed dances in future weeks. We have celebrated a number of milestone birthdays. You will read about one in the following pages. We had the great pleasure of telling our In-Home Services staff how proud we are of the care they take of our elder clients. You will meet one of our special C.N.A.’s in this newsletter and hear what her clients have to say about her. We will also be introducing you to some new staff who will bring a multitude of talents to the LEC and keep you loving the Third-Third of your lives. Have a great month and we will talk again next month. Until then let us know if we can assist you in any way. Deanna was born in Illinois but moved to Wisconsin when she was 7 years old. She lived half the year in Wisconsin and half the year in Sarasota, FL until she graduated from high school. All you Gator Nation fans will be glad to know that she graduated from the University of FL with a BS degree. She has one daughter, Chrystal Hair and one son, Billy Nelson. She is blessed with 5 grandchildren. Deanna has lived in Lake City for the past 30 years, however, she has also lived in California, Texas, New York, Indiana and Tennessee. Deanna has been a science teacher most of her life, but she also loves sports, dancing and physical education. 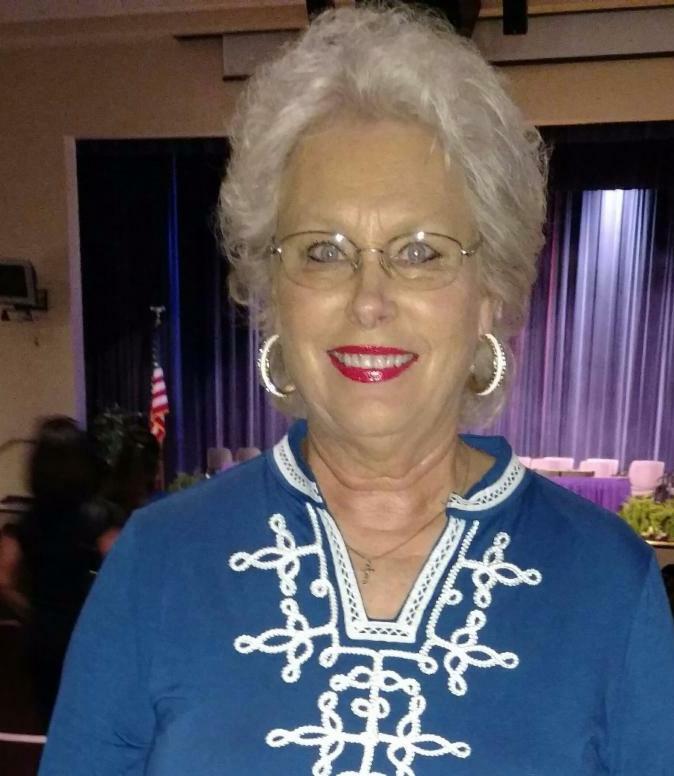 She has taught with the Columbia County School System at both Columbia High and Ft. White High School. When she retired from the school system she went in a different direction. She became the Operations Manager and Volunteer Director for the Auxiliary at Shands Lake Shore Regional Medical Center. Deanna has been active at Southside Baptist Church for many years. She has run a Puppet Ministry, served as the VBS Director, lead the Women’s Ministry and sang in the choir. February 9th is a very special day because Horace A. Williams was born on this day 95 years ago. 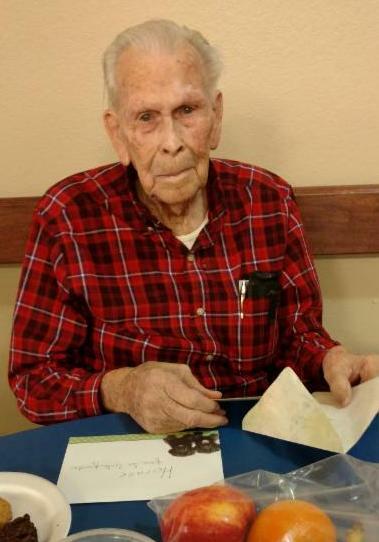 When Horace walked into the dining room at the Lake City Lifestyle Enrichment Center on Thursday, he was greeted with a big spread of food and birthday cards. This all made him smile from ear-to-ear. Horace is a very popular person and a regular visitor to the LEC. I had the opportunity to sit down with him and talk about his interesting past. Horace was born in St. Petersburg, FL. When he turned 16 he voluntarily enlisted in the navy and served in WWII. When he got out he moved to Lake City and has lived here ever since. He was later called back to serve in the Korean War. Horace has 6 children (2 deceased), 12 grandkids (1 deceased) and 20 great grandkids (1 deceased). He has touched many lives during his 95 years. Horace has worked as a mechanic and in the construction field here in Lake City. He retired from Division Hospital where he worked in maintenance. The thing that impressed me the most about my visit with Horace was his sharp memory. He is a joy to talk to and we are proud to call him friend. Happy Birthday, Horace. We look forward to celebrating many more birthdays with you in the future. 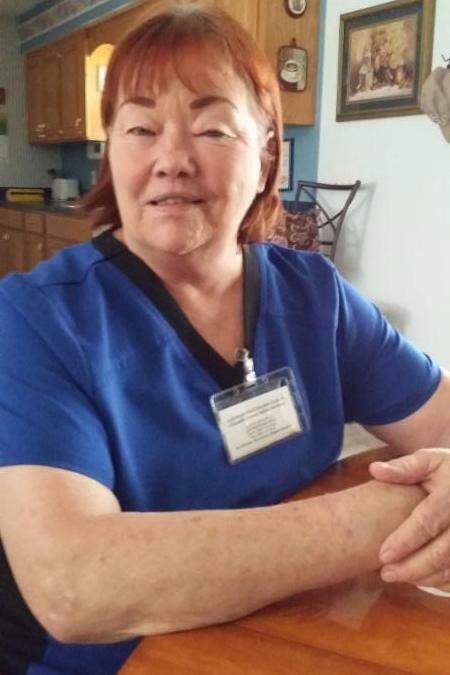 Judy Jackson, Certified Nursing Assistant (CNA) started her career in the health care field at the age of eighteen (18) at Jackson Hospital, Montgomery, Alabama, and was simply called an aide. This job did not require a license, but was directly under the supervision of a Registered Nurse. In 1995, Ms. Jackson was licensed as a CNA to work as a Home Health Aide at the VA Hospital in Montgomery. Ms. Jackson moved to Florida in 1997. In 1999, she learned of an opening with the Columbia County Council on Aging in Lake City. In 2013, Ms. Jackson thought she was going to “retire”; however, and in about four (4) months she returned to her employment as a CNA and, in her words, has not regretted a day of it. Ms. Jackson stated “it makes her feel good and useful that maybe she has made someone’s day better by providing a service to them.” Her spare time is spent with her little dog, Radar, who is her constant companion in her off time. The seniors enjoy learning to line dance. It’s good exercise and they really have a lot of fun. They look forward to every Monday so they can come in and dance. I teach the easy beginners line dancing. 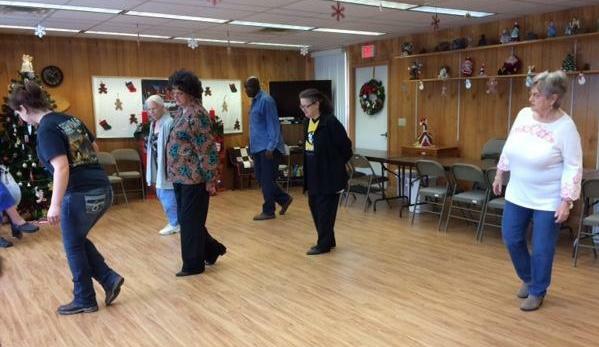 Our line dancing is on Monday from 10:00 am 11:00 am. I would like to have more seniors join us and have some fun. You can reach me at 386-497-1504. I look forward to seeing you. 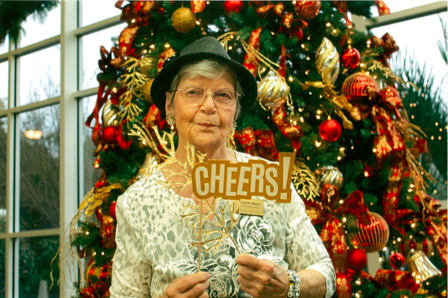 Just recently a friend brought in some pictures she had taken at the 2015 New Year’s Eve party held at the Lifestyle Enrichment Center. Among those pictures was one of our dear friends who passed away on February 2, 2016 – Claudette Mears. It seems appropriate that we should share this vibrant picture of Ms. Claudette with our readers. This 5’4″ lady packed a lot of living into her almost 80 years. She loved performance, music and teaching arts and crafts. We are pleased that she spent many days with us from 2010-2016.